The Saint Property Management Team at RE/MAX Leaders was created by Josh St. Romain. Josh and his team provide full service residential property management as well as Buyer or Seller Agency representation in real estate transactions. In both capacities Josh and team strive to deliver unparalleled communication, market knowledge, responsiveness and client advocacy. In 2017 alone, Josh assisted his clients in transactions on over $11 Million in sale/purchase price. Additionally, the Saint Property Management Team currently manages over 100 individual residential properties for it's network of 3rd party clients. Josh joined the RE/MAX Leaders franchise in January of 2014 and created the Saint Property Management Team at RE/MAX Leaders to service his existing and new clients. Josh is a licensed Realtor and recipient of RE/MAX's 'Platinum Club' for 2017, '100% Club' for 2016 and 2015 as well as the 'Executive Club' (2014). Josh is a member of the National Association of Realtors, the Colorado Association of Realtors and a proud member of the National Association of Residential Property Managers ("NARPM"). Prior to joining RE/MAX Josh spent over 9 years working with a boutique investment banking firm that specialized in the mortgage and real estate industries. During this time, Josh jointly created and/or ran several business platforms. From 2009 to 2011 Josh served as the Portfolio Manager for a National Residential Bulk Real Estate Owned ("REO") fund that purchased 8 separate bulk residential portfolios averaging 57 properties with a combined average portfolio value of $3.1 million. In this role Josh was personally responsible for sourcing portfolios, managing due diligence, portfolio modeling and pricing, purchase and resale closings. Josh is a graduate of Colorado State University where he gained a Bachelors of Science (BS) in Business Administration with a concentration in Finance & Real Estate. Josh also obtained a Masters in Business Administration (MBA) from the University of Colorado at Denver. Josh is a native to Denver and loves spending time with his wife Laura and three children Dillon, Cole & Alexis. Growing up in Colorado, Josh has been on snow skis since he was 3 years old and still loves to ski along with mountain biking and cheering on Colorado's professional sports teams in his free time. Susan Mitchell joined the Saint Property Management Team as a full-time Property Manager in November of 2016. Susan has been in the Real Estate arena for many years working primarily as an office assistant and transaction coordinator for several RE/MAX and Keller Williams offices. Susan has also worked in Executive Assistant positions in multi-media and healthcare. With her wide variety of experiences, Susan brings several key elements to the property management business highlighted by her ability to build and maintain relationships through excellent client service and organizational skills. 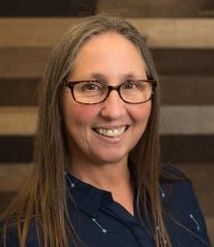 Susan is a native to Colorado and in her free time enjoys cooking and experiencing new recipes, hanging out with her friends and family, bike riding and the beautiful Colorado outdoors. 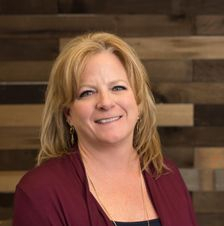 Niki has been working as a part-time contractor for the Saint Property Management Team since 2014 and focuses on making everything run more smoothly through maintaining the property management online software, accounting, and special projects. Before joining our team, Niki owned and operated her business for over ten years. She now enjoys the freedom of part-time work and loves to spend time with family and friends, travel, and relax in the pottery studio as often as possible. Cecile joined the Saint Property Management Team in the first part of 2016 as a part-time team member. Cecile's focus is on the initial marketing and lead tracking for the group's available rental inventory. Cecile is originally from Lake Charles Louisiana but moved to Colorado in 2016. As a native of Louisiana Cecile loves interaction with people and strongly believes quality customer service begins with excellent communication. Click on the link to the left to see why!